Think you know how to write the alphabet? We'll teach you how to DRAW it. The Super Lettering Book is BURSTING with themed alphabets, phrases and words to help you create EPIC posters, signs, greeting cards and school projects. 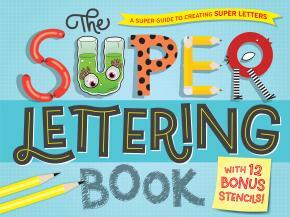 Inside, super lettering artists share their SECRET TIPS, teaching you how to draw the best lettering, EVER!